A turnaround in risk condition was witnessed in Asia on the first trading day of this week, with risk appetite returning to the markets, as reflected by rising Asian equities and oil prices. As a result, the higher-yielding/ risk currencies such as the AUD, NZD and GBP got a fresh lift at the expense of the safe-haven Yen. The pound outperformed, despite looming Brexit jitters while the USD/JPY pair trimmed losses amid risk-recovery. Meanwhile, low volumes amid Japan’s public holiday spurred some irregular volatility in the session, pressuring the greenback across the board, as attention shifts to the key US CPI release due to be reported in the week ahead. Bank of Japan (BOJ) governor Kuroda is set to be the first governor to serve two terms since 1954. The UK consumers tightened the purse strings in January, highlighting many households’ caution about their finances and the approach of Brexit. Currently, the S&P 500 futures are up 0.64 percent or 18 points at 2637, indicating the index could extend Friday's rebound from the 200-day MA support. Speculators' net bearish bets on U.S. 10-year Treasury note futures rose this week to their highest in almost a year during the week ended Feb. 6, according to Commodity Futures Trading Commission data released on Friday. AUD/JPY overnight 25 delta risk reversals rose to -5.2 today vs. -6.1 on Friday, indicating the demand for put options (bearish bets) or premium claimed by puts over calls has dropped somewhat. We have a quiet start to a big week ahead, with nothing of note to be reported from the Euroland, except for the Swiss CPI data, which is expected to have limited impact on the fx markets amid holiday-thinned markets. Meanwhile, members of the BOE MPC are scheduled to deliver their speech, with Vlieghe due to speak on the household debt at 0950GMT while McCafferty will discuss the economic outlook and monetary policy in an interview conducted by Iain Dale at 1630GMT. The speech by McCafferty will fill in an otherwise data-empty North American docket. EUR/USD - Bottom in place? Having posted a "doji" candle on Friday, the EUR/USD pair jumped to 1.2285 in Asia. A positive close today, preferably above 1.2287 (Friday's close) would confirm the bull doji reversal. GBP/USD may be poised to continue pushing higher following a couple of weeks of declines. Sterling is currently trading up softly on thin markets to kick off the new weeks. 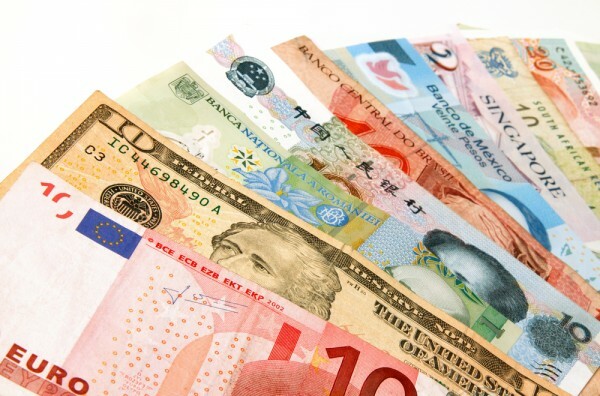 US$Chf fell sharply from just above 0.9400 to a low of 0.9347 before grinding back towards the highs by the end of Friday’s session, leaving the outlook largely unchanged. The roller coaster ride that equity markets took into correction territory this past week has been characterized mostly by dizzying plummets and much less so by hopeful rebounds.